A National Executive Committee has been created in the Asian country to show that the American Jesuit, who was naturalised Filipino in 1975, led a life of sanctity. From 1936 until his death, the clergyman dedicated his life to Filipinos, breathing new life into the country's Order of the Knights of Columbus and the Daughters of Mary Immaculate. Manila (AsiaNews/Agencies) - In the Philippines, there is no stop to the support and encouragement for the cause of beatification of Fr George J Willmann, a US-born Jesuit who served for over 40 years in the Asian country. 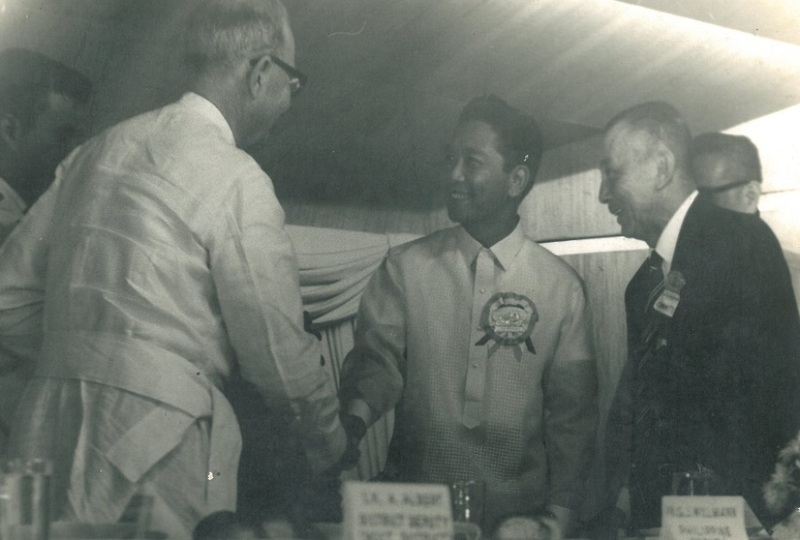 Such were his "virtuous acts, compassionate and kind and loving service for the Filipino people," that in 1975 the then President Marcos granted him Filipino citizenship (pictured). Only two years later, at 80, Fr Willmann passed away of a heart attack during a short trip to the United States, where he had gone to see his sister. Known as the "gentle warrior," the clergyman is also remembered for breathing new life into the Order of the Knights of Columbus and the Daughters of Mary Immaculate, which are leading the way for his beatification. "Fr. Willmann continuously resided in the Philippines since 1936 and during this period he shared with Filipinos his heroic virtues, ideals and aspirations," said Justice Jose C Reyes, Jr, chairman of the Knights of Columbus Fr George J Willmann Charities, Inc.
A National Executive Committee has been created to advance the cause of Fr Willmann's beatification. "We all hope," Reyes said, "that this one day may lead to the canonisation of this great priest."